… But these backpacker hostels are more than just a place to stay for the night. Christchurch’s hostels have additional comforts to make longer stays more enjoyable, such as a spa pool or organised social nights to make some quick friends. One of the hostels is even a converted jail. 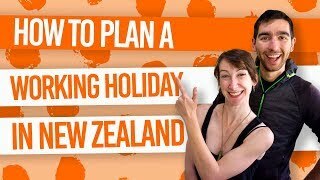 We appreciate that staying in a budget accommodation is a because you want to save money for much more awesome stuff in New Zealand, so we have listed the free or cheap things to do in Christchurch too. Here are the backpacker hostels we love the most in Christchurch. The recently-built “flashpackers” is as modern as it gets, with machines to check you in, usb plugs around every corner, and a common area with hammocks, bean bags and a swing. The “pod” dorm rooms also give you that extra bit of privacy. A converted prison makes Jailhouse one of the most unique hostels in the Southern Hemisphere! It is a tourist attraction and backpacker hostel mixed into one. There are historical display rooms where you can pretend you are an inmate with photo booth props. Spa pool, sauna, free WiFi, eco-friendly, lemon tree in the garden… The Old Country House is a backpacker hostels run by a couple who have backpacked the world themselves. Check The Old Country House out! It’s garden, welcoming hosts and quiet atmosphere makes Canterbury House a much-loved hostel in Christchurch. Situated on the outskirts of the city centre, it’s not too far away from the hustle and bustle of the city. Free sewing kit?! I’m there! Ok, so the free sewing kit isn’t the drawcard for this hostel. 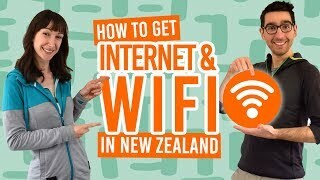 But there are heaps of other things for free, such as unlimited WiFi, computers, tea, coffee, herbs, ear plugs, storage, use of hairdryers and straighteners, and so on. What’s more, the hostel is only a 10-minute walk from the city centre. Check Around the World Backpackers out! A great base for Christchurch city is this ultra-modern purpose-built backpackers on Bealey Avenue. With an open courtyard and right next door to Speights Ale House, there are plenty of place to relax with your fellow backpackers. Check All Stars Inn on Bealey out! A central location and a homely feel, Dorset House makes a good hostel for staying in when you are job searching in Christchurch. This backpacker accommodation is on a quiet street in a Victorian house. This lodge looks like it could be easily nestled in the forest rather than Christchurch. The garden is full of native trees and the building is made from wood. Plus, Haka Lodge aims to green by recycling and using compost. For your comfort, there are no bunks and unlimited free WiFi! However, it is a 5-10min drive from the city centre but a bus stop is right outside. A super modern hostel just a stone’s throw from Cathedral Square, Urbanz is an excellent base for your time in Christchurch. With a huge variety of room types (including king-size dorm beds in some rooms), it suits most types of budget traveller. Enjoy the social vibe in the lounge bar with frequent events and drink/snack offers. Working holidaymakers can get advice on job hunting, as well as get long-term rates. Plus, there’s free parking nearby and 1GB of free Wifi per day! Keep yourself busy in the Garden City!